Funky Polkadot Giraffe: EARLY MAN Activity Booklet + Screening Pass Giveaway! EARLY MAN Activity Booklet + Screening Pass Giveaway! 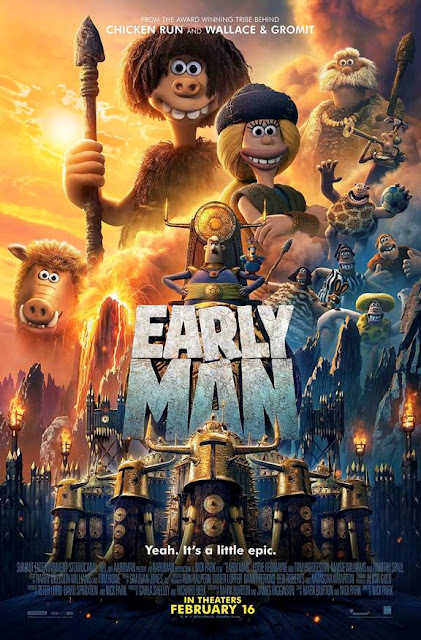 If you love WALLACE and GROMIT and CHICKEN RUN, then get excited because EARLY MAN opens in theaters this week on February 16, 2018! 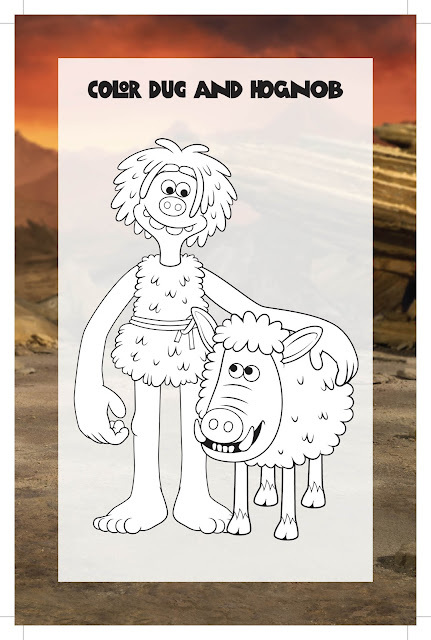 Set at the dawn of time, when prehistoric creatures and woolly mammoths roamed the earth, EARLY MAN tells the story of how brave caveman Dug, along with his sidekick Hognob, unites his tribe against the might Bronze Age in a battle to beat them at their own game. EARLY MAN unleashes an unforgettable cast of hilarious new characters and marks Nick Park's first feature film since Academy Award winning Wallace and Gromit: The Curse of the Were-Rabbit. You can check out the HILARIOUS CHARACTERS before you see the movie and do this fun activity booklet. I know my kids love to do games and activities related to their favorite movies, so we will definitely be printing some off too! You can download your EARLY MAN ACTIVITY BOOKLET HERE! Enter using the Rafflecopter widget below! And good luck! GROMIT! I REMEMBER THOSE MOVIES SINCE LIKE A LONG TIME AGO. BACK IN HIGH SCHOOL SPECIALLY LOL. THE TEACHER WOULD PUT IT FOR US. oh my gosh, gromit is awesome! I love Gromit. Thanks for the chance to win such an amazing giveaway. I think I like Wallace the best. Not sure who I love more but I know my Chloe Pearl would love to see this movie! That's so hard to choose, but I will say Wallace. Wallace I think, but really, I love them both! I love Wallace the best. Oh I have to say Wallace is our favorite! I like Wallace the best. Honestly, I have no idea. I haven't had the pleasure of knowing either one. I love Wallace the most. Of these two characters, Wallace is my favorite. I love Gromit the most! His facial expressions are awesome...he says so much without saying anything! I'm not a fan either... but my son loves them both! We love Wallace the most! Thanks for the chance! I like Grommit. He is just adorable. How can you choose?? Haha I would have to say grommit I guess. I like Wallace the most. Our favorite is Wallace!! Love them both. I like Gromit the best.